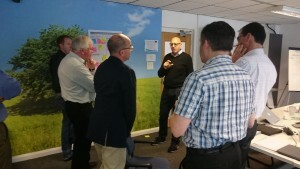 Elstat Group engage with Value Proposition workshop. The workshop enabled the management team to take a step back and re-look at the value propositions for their new solutions. Nick Nearchou, Chief Executive of Elstat Group commented on the session. Firstly, it made us realize that we didn’t necessarily have all the answers. The process stimulated huge engagement from the team in working towards understanding our value propositions. Secondly, the obvious is not always obvious. We had talked about our value propositions a lot but this made us realize that we hadn’t really clarified what our value propositions were. Thirdly, it is definitely worth spending time upfront before you get involved in investing in product development to be clear on what the value proposition is for the final solution. Elstat are the leading provider of sustainable refrigeration solutions, they create cutting-edge refrigeration technology that streamlines energy consumption and increases profits for the beverage industry. Elstat have launched their new smart solution Nexo, which enables a direct dialogue with consumers in-store at the point of purchase and also links to digital campaigns aimed at increasing drinks sales.